We’d love your help. Let us know what’s wrong with this preview of Love Scene, Take Two by Alex Evansley. Teddy Sharpe is kind of famous. He might actually be on his way to being really famous, especially if he'd nailed an audition for the lead role in the movie adaption of the newest bestselling young adult book series. There's just one problem: He totally blew the audition. And he's stuck in a tiny North Carolina airport. And his maybe-ex-girlfriend kind of just broke up with him. The weekend isn't exactly looking good until Bennett Caldwell, author of the very book series he just auditioned for, takes pity on him and invites him to her family's lake house. Away from the glitz and glam of Hollywood for a few days, Teddy starts to relax . . . and somehow he and Bennett just click. But dating is hard enough when you aren't the subject of several dozen fanblogs, and the Internet is full of juicy gossip about Teddy and Bennett . . . gossip that Bennett might not be prepared to handle. Chosen by readers like you for Macmillan’s young adult imprint Swoon Reads, Alex Evansley's debut novel, written from both Bennett and Teddy's perspectives, will have teens laughing, swooning, and falling in love along with these fantastically relatable characters. To ask other readers questions about Love Scene, Take Two, please sign up. I was lucky enough to read this book in its original form, Between Takes, on Wattpad. I enjoyed it so much because it read kinda like an old fantasy of mine from my earliest writing days, in which my books got made into a movie with Chloe Bennet as the leading lady, and I got to date her. The difference being that Teddy Sharpe and Bennett Caldwell are more like Dylan O'Brien and Alex Evansley, but that's okay. The point is, even though this style of book is normally very much not for me, Alex's book was completely the opposite, so much up my alley and enormously lovable. Now, she's got this new version of her book available for all of us to read, and I'll be damned if I don't get them not to stock it at the Stanford Bookstore where I'll make it yet another Staff Pick. I did notice a few small changes in the road from BT to LS,T2. Like, for instance, the slight de-aging of both Teddy and Bennett. Teddy's now just a couple of months shy of 21 at the start of this book, so he can't just get a bourbon on the rocks when he boards the flight to Charlotte. And Bennett, she's 18 - so this one part where I remember, from the original version of the story, where Bennett muses about how her creative-writing professor criticized her a bit for writing as if Parachutes was already a movie with trailer-ready snappy dialogue. Or something like that. I'm honestly surprised my own creative-writing professors never went there with my own writing, but then again, they never read more than, oh, maybe twenty pages out of the hundreds I've created for my big old series. And they were far less critical than this one classmate who was just the biggest assbutt of them all...but I'm not affected by his nonsense at all. But you know what? I'm very, very glad I went and bought myself this book, because I so badly need the lovely chemistry of #Shardwell5Ever in my life. By sheer coincidence, the week when Teddy and Bennett meet for the first time, in my real life, was marked by me trying an OKCupid date for the first time and getting totally stood up because I'm basically cursed to never be loved. Mm-hmm. He's got me pegged. But then there's Teddy and Bennett, who are almost exactly what I want in a relationship. A little insta-lovey, to be sure, and maybe a little too reliant on repetitive lines for laughs (like the "alphabet of hepatitis" bit, but then Bennett also comments on repetition of lines being literally Teddy's job, so there's that.) But the chemistry they have is Stonefield- or Melwood-grade beautiful and natural and I'm always there for that. But then again, there's a reason why this book gets a fair few references in my own manuscripts, including a recently-written bit in Peppermint where I have Alex Snow mention two clubbers being a Shardwell couples cosplay. Not gonna lie, if I ever do break my relationship curse, get me a girl I can do this couples cosplay with. I'm pretty sure I resemble Dylan...sorry, Teddy enough to pull off that half already, lol. As for whoever's the lucky lady who gets to be my Bennett, well, all she's gotta do is make me a real sucker for a chick in a ball cap. (Not that I'm not already.) And the part I liked the best was how the Caldwell family was such a friendly and mellow bunch - the kind of family I wish I had. Certainly the kind that would've let me drink a little even while underage (as long as I didn't cut too loose, y'know). Or the kind that would've let me be openly bi in peace - seriously, Will got the wrong branch of this family tree. He deserves to be a Caldwell, sib to Bennett and Tanner both. I have to admit, I loved reading this book on Wattpad (I read it twice there!). Literally so much fun & one of my favorite books on the site. And honestly, that's about it. If you're worried about the lack of differences with the Wattpad book being a problem (ahh Wattpad book! the horror! ), don't be, because this book was fantastic when it was just a first draft on Wattpad. And it's just as awesome now. This is the type of romantic comedy I have been looking for the past few weeks, and reading (or, well, rereading) this novel was still such a fun experience. I love the way the story arches, something that's not usually found in serial fiction but something Evansley did flawlessly even in the Wattpad version, and how it's short and sweet but still has enough angst to keep you entertained. The entire premise is honestly just a ball of fun--I mean, a young adult author and the lead actor in her movie adaption falling in love? Isn't that the most adorable, fluffy thing you've ever heard of? Even though it might be a tad on the unrealistic side, it still makes a really fun read. Famous people is one of my favorite clichés, and Evansley does not let the reader down. Something that I do think certain readers won't like is the fact that it's told through third person. I personally don't mind this--sometimes I honestly prefer books that way--but I know the young adult audience does have a tendency to favor first. I personally didn't find third person to jar the reader or make it hard to relate to the characters, but if you're someone who has a lot of trouble with that, you might want to read a couple chapters to see if this is something you'd be into. My only criticism lies in the character Liz, who is Bennett's cousin and kind-of (but not really) friend. I felt like even though she was such a toxic and unhealthy character in general, I wish she hadn't been portrayed as desperately as she was because to me, it felt like she was being made into that girl. It's all the girl characters in the book vs. Liz. I wanted Liz to learn to be a better person in this book, rather than being left as the mean/toxic/ugh-her girl for the entire story. But overall, I had such an amazing time reading this book! It was definitely really nice to be able to read it in print format, and it was such a lighthearted and enjoyable read. I definitely think this was a great end to my romcom contemporary kick as it was the perfect mix of sweet and angsty and tropey fun. I definitely recommend to anyone who is a fan of novels that are written with almost the same style as Fangirl by Rainbow Rowell (the third person) and also anyone who just wants something light and fun to read! An arc of this book was sent to me by Swoon Reads (Macmillan) in exchange for a review. All thoughts and opinions are my own. AGH! I binged this book faster than any other book this year. I quickly fell in love with this story; the witty banter between Bennett and Teddy, the fun, fast-paced plot, the plot!!!! I just adored it so much! The idea of this story is amazing and it was so addicting. I found it just so adorable. As much as it was predictable at times, I just couldn't put this book down! A An arc of this book was sent to me by Swoon Reads (Macmillan) in exchange for a review. All thoughts and opinions are my own. So just to be clear, I'm absolute trash for Hollywood romance. I don't know why--I guess it's just our culture's (oh yeah, that's right Kay, blame it on someone else) fascination with celebrities--but when I saw the blurb, saw that it was about a famous actor and an author, I was completely hooked. I had to read it. 1. Teddy So just to be clear, I'm absolute trash for Hollywood romance. I don't know why--I guess it's just our culture's (oh yeah, that's right Kay, blame it on someone else) fascination with celebrities--but when I saw the blurb, saw that it was about a famous actor and an author, I was completely hooked. I had to read it. Also let's just get out there that this girl Bennett published a huge bestseller in her sophomore year of high school that seems extremely not realistic but also I applaud you girl that's amazing. Also there's this plot point where someone had to get a whole new phone to avoid someone constantly texting and calling and I was like ok but have you heard of blocking the number? I feel like a lot of this book is banking on it being a fluffy romance, and it was really cute, but also it felt pretty dysfunctional and it wouldn't work? For one thing, there's a bit in the beginning that is sort of, kind of, like cheating, and I'm really unsure about how I feel about that because let me tell you, I am definitely not here for cheating. See how much I hated Anna and the French Kiss because of the cheating haha. Then, there's the fact that for some literal 2/3 of this book Teddy and Bennett seemed to be fighting over some stupid thing, and I kind of wanted to bash my head into the wall because why. I mean, I love angst will they won't they ahh romance, but this was just like, please. Stop being so immature. And finally, I feel like the love here was really, definitely instalove in its purest form. I feel like with everything and all these points I really should hate this book. Objectively, it's just not that good. BUT... like I said above, I'm trash for these kinds of books. The romance here is, like I said, pretty dysfunctional, and tbh, in real life I don't think they would work as a couple. But here, in my fluffy imagination, I was totally swooning. They had some moments that were just so cute together! And some great make out scenes ;) I thought this was definitely more explicit than most YA (although this def read like New Adult, not Young Adult!). The beginning half of the book also takes place over this weekend spent out on a lake hanging out ft. swoony Bennett x Teddy moments and it just made me so happy. I don't remember when it takes place but it definitely felt like an amazing Morgan Matson-esque summer fun contemporary that I absolutely loved! Teddy is a rising young star who has just auditioned for the movie role of his lifetime – and blown it. On his flight home, he meets Bennett, the young author of the book the movie is based on and somehow manages to get himself invited to stay at her lake house for a few days. While his manager thinks it’s a good opportunity for networking, Teddy finds himself thinking of other things entirely. Throw into the mix a jealous cousin and her star-struck brother, and it’s beginning to look like a fun Teddy is a rising young star who has just auditioned for the movie role of his lifetime – and blown it. On his flight home, he meets Bennett, the young author of the book the movie is based on and somehow manages to get himself invited to stay at her lake house for a few days. While his manager thinks it’s a good opportunity for networking, Teddy finds himself thinking of other things entirely. Throw into the mix a jealous cousin and her star-struck brother, and it’s beginning to look like a fun weekend! Then, add one ex-not-ex-girlfriend, a shared movie set, and a publicity stunt, and things are starting to get even more complicated. Misunderstandings abound. Will this cute couple ever end up together - for real? Even though Teddy and Bennett are both famous in their own right, they are really just people like us. I love Teddy’s humor and immaturity and Bennett’s vulnerability and insecurity. They are both extremely likable, cute, and funny. And they make the perfect couple. The author has a real talent for portraying the dialogue and behavior of these 18- to 20-year-olds, probably because she is one herself. The first half of the story is told from Teddy’s point-of-view, followed by Bennett’s point-of-view during the filming of the movie. I enjoyed the first part so much more than the second. The author has chosen to use third person present tense, which feels a bit awkward. It would have been better written in the first person or third person past tense. An impressive debut by a talented young author. Warnings: coarse language, sexual references, underage drinking. Get ready to swoon! Love Scene, Take Two is so adorably sweet and swoony, funny and romantic, that you’ll want to read it in one sitting. After a meet cute on a flight from L.A. to North Carolina, poised-for-acting-stardom Teddy and teen-author-turn-screenwriter Bennett spend a weekend together and make a real connection. Unfortunately bad timing, bad circumstances, and a misunderstanding end things before they can really begin. Months later, they’re thrown together on a movie set and the sparks Get ready to swoon! 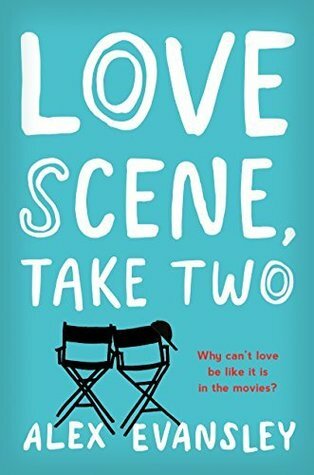 Love Scene, Take Two is so adorably sweet and swoony, funny and romantic, that you’ll want to read it in one sitting. After a meet cute on a flight from L.A. to North Carolina, poised-for-acting-stardom Teddy and teen-author-turn-screenwriter Bennett spend a weekend together and make a real connection. Unfortunately bad timing, bad circumstances, and a misunderstanding end things before they can really begin. Months later, they’re thrown together on a movie set and the sparks are still there. But Teddy can’t get Bennett to take another chance on him, and Bennett’s not sure what’s real and what’s just for publicity. Told from both Teddy’s and Bennett’s perspectives, Love Scene, Take Two follows these two utterly likable characters as they deal with ex-girlfriends, family issues, friendships, paparazzi, and social media, all while navigating a new relationship. Teddy is positively dreamy and Bennett, while sometimes frustrating with the way she runs hot and cold with Teddy, has insecurities that make her relatable to every girl. 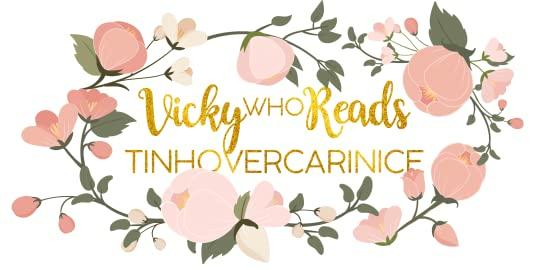 Love Scene, Take Two is published by Swoon Reads, a YA publisher, and is marketed as a young adult romance, but I will say that the character’s ages threw me at first. 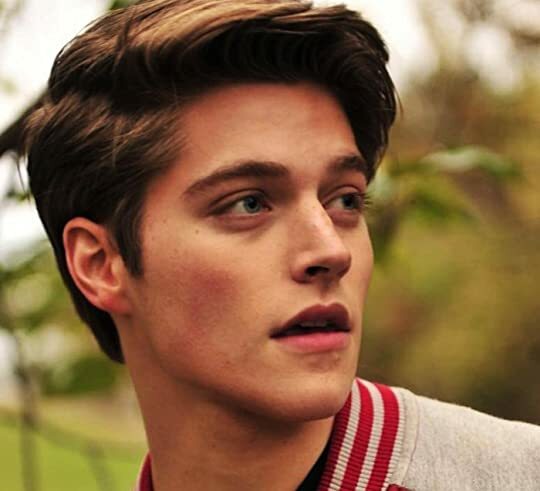 Bennett turns 18 during the course of the story and Teddy is 20 - older than typical YA leads. This makes Love Scene, Take Two perfect for a slightly more mature YA audience. With flirty banter, great humor, and some first-love angst, this is the epitome of swoony rom-com. This was a super cute read. When these two inevitably m LOVE SCENE, TAKE TWO is a super cute upper young adult/new adult romance. Sort of famous actor, Teddy Sharpe, is trying out for the lead in the latest young adult book-to-movie adaptation. Bennett Caldwell is a young adult author whose book has been optioned for a movie. Bennett and Teddy end up on the same flight to North Carolina and immediately hit it off, launching a 72-hour romance that ends with hurt feelings, misunderstandings, and maybe a little something more. A wonderfully charming, adorably funny, and beautifully written debut novel, Love Scene, Take Two by Alex Evansley had me positively captivated. It was just so fun and cute and endearing that I never wanted the story to end. I definitely know without a doubt that this book will be one of my favorite YA contemporary reads this year. I’m very impressed with Evansley’s writing style that I quickly fell in love with this story. Her writing is genuinely realistic, beautiful, and delightfully engaging. A wonderfully charming, adorably funny, and beautifully written debut novel, Love Scene, Take Two by Alex Evansley had me positively captivated. It was just so fun and cute and endearing that I never wanted the story to end. I definitely know without a doubt that this book will be one of my favorite YA contemporary reads this year. I’m very impressed with Evansley’s writing style that I quickly fell in love with this story. Her writing is genuinely realistic, beautiful, and delightfully engaging. It was easy to read that I was able to connect with the characters from the very beginning. Even though the story was written in third-person, it felt like I was actually reading in first-person from Teddy and Bennett’s POVs. I felt what they felt and really cared about what happened to them. I was emotionally invested and satisfyingly engrossed that I could not put the book down. I loved the premise of this book so much! I thought it was sweet and just the cutest and yeah…. I was definitely addicted. The plot was so amazingly well-developed, entertainting, and hilarious. There were so many moments that made me smile, laugh, and swoon. Honestly, I don’t even know how my heart is still whole cause it melted over and over again. I’m just so in love with this story and Teddy and Bennett and Emma and Oliva and pretty much everything about this beautiful novel. The characters were all quite charmingly interesting and ridiculously lovable. Yes, even the ones you want to hate, you really can’t cause they’re part of what made the story a success. And as frustrating as they were sometimes, they were realistic and had this vulnerabily that made them so relatable. I wouldn’t change anything at all even if a certain character did really annoy me. I Loved Loved Loved Bennett and Teddy so much. They were so stinkin’ cute together! Bennett was smart, witty, and passionate while Teddy was all kinds of swoons and sweetness. They definitely had some fun witty bantering, heart melting scenes, and their sarcasm too damn adorable. Their chemistry was EVERYTHING and I honestly cannot get enough of them. I think I have a new favorite OTP and an absolutely dreamy and swoon-worthy book boyfriend to add on my list. Love Scene, Take Two is delightfully sweet, incredibly funny, and absolutely swoony. With so much heart-melting FEELS, intriguing family drama, great friendships, and cute romance, this book is the perfect rom-com story you’ll want to read this summer. I smiled so much and swooned so hard that I know this fantastically fun book will always have a special place in my heart. I definitely cannot wait to read more books from this author. This review has been hidden because it contains spoilers. To view it, click here. Received an ARC from Netgalley and the publisher in exchange for an honest review. This was fun. No two ways about it. This review may include spoilers so please stop reading now if you don't want the story spoiled!! What I loved: I loved that this story was about Bennett getting out of her own head. The biggest challenge she faced was all in her head. And Teddy wasn't going to let that get in the way. I loved that. I don't think all YA needs to have some huge catastrophic even Received an ARC from Netgalley and the publisher in exchange for an honest review. What I loved: I loved that this story was about Bennett getting out of her own head. The biggest challenge she faced was all in her head. And Teddy wasn't going to let that get in the way. I loved that. I don't think all YA needs to have some huge catastrophic event that separates the couple. Sometimes, it just needs to be the catastrophic event that plays out in our minds. What I liked: The dialogue felt genuine. What I hated: Hmmm...not sure I hated anything about this one. Maybe at times I just wanted Bennett to get out of her own head! (coming from someone who spends too much time in their own head). This is a fairly clean YA novel. There is underage drinking and underage drinking allowed by parents. Could be a deal breaker for some younger readers. Love Scene, Take Two is told from two different points of view, the first being that of actor Teddy Sharpe. Getting the lead in the movie adaptation of the bestselling Parachutes book series could be his Hunger Games and skyrocket his career, except he is convinced he blew his audition. Bennet Caldwell is the young author of the Parachutes series, and when Teddy is stranded at the airport due to weather, she invites him to stay at her family's house for the weekend. As the two start to fall for each other, Bennet has to figure out if she can handle the internet gossip and tabloids that a relationship with Teddy brings. The majority of this book takes place at Bennet's family's lakehouse and on the movie set, and while I liked the quaint lakehouse setting, it was the movie set that I found the most fascinating. This book gives a great glimpse into more than just the drama behind the scenes, but also the technology, the people needed, the stress, and the work that goes into creating a blockbuster. Every scene on the set was absolutely captivating. While the "Hollywood contemporary romance" concept isn't new, this is definitely one of my favorite depictions of life in the spotlight. One important thing to expect in this book is some hard to believe scenarios. It's unavoidable. You definitely have to suspend your disbelief over certain characters and events that occur. That said- the plot is fast paced and super fun. I could barely put this book down while reading. The two main characters are one of my favorite things in this book. Bennet is a sarcastic but kind, and slightly nervous girl who definitely has some flaws she needs to work through in this book, but is far from unlikeable. Teddy is just fantastic. He is the Hufflepuff love interest we all need. Bennet's family also feature a large role in this book. I really loved all of their scenes together. Her cousin Will is amazing and I wouldn't mind a book all about him (also, he's gay! Yay LGBT rep!). The only character I didn't like was Liz, Will's sister and the cause for most of the drama in this book. I found her a little too unbelievable at certain points, and almost too cruel. Totally loved this book from beginning to end!! Bennett has a lot of the same qualities I have like anxiety at social situations and no real basis for knowing a true love setting. But when she’s the writer of a major new YA book franchise, and she’s sitting in on auditions for the first film, she gets the chance to see Teddy Sharpe, and she gets major heart palpitations. Doesn’t help that they get stuck on a flight from LA to North Carolina and she reveals she’s the author of the book he is tryi Totally loved this book from beginning to end!! Bennett has a lot of the same qualities I have like anxiety at social situations and no real basis for knowing a true love setting. But when she’s the writer of a major new YA book franchise, and she’s sitting in on auditions for the first film, she gets the chance to see Teddy Sharpe, and she gets major heart palpitations. Doesn’t help that they get stuck on a flight from LA to North Carolina and she reveals she’s the author of the book he is trying to start. But the feelings of romance start blooming during a short stay at her parents lake cabin and before long kissing. What I liked was how things didn’t automatically start going to the kissing and physical stuff. It took its time because of Bennett’s anxiety and the fact that it was totally new territory for her. I also liked how we learn the reason for her anxiety is in large part to her cousin Liz who makes it her goal to ruin things and take the spotlight away from Bennett at any chance. Best part is when they get their revenge, but then solidify their relationship in the best way possible. So many insights into how filming is done and all the drama that happens after the cameras are off. To be fair, this is probably more like a 2.5-star, but in the end I just couldn't truly say that I enjoyed this book. Which is sad, because I really wanted to. The beginning made me think I was going to love this book. It was cute and funny, and I was interested in both Teddy and Bennett and getting to know them better. Unfortunately, I feel like that never happened. That's where this book fell flat for me. I know it's meant to be a romance, but I felt like it lacked in substance. I wanted more th To be fair, this is probably more like a 2.5-star, but in the end I just couldn't truly say that I enjoyed this book. Which is sad, because I really wanted to. That's where this book fell flat for me. I know it's meant to be a romance, but I felt like it lacked in substance. I wanted more than just a romance, and by the end of the book, I was completely over Teddy and Bennett's back-and-forth. They're constantly flirting, then mad at each other, then flirting, then mad again, and on and on. It was so exhausting that by the end of the book I didn't even care if they were together or not as long as I didn't have to read about it anymore. Again, I know this a romance, but at the end of the book I still felt like I didn't really know or understand Teddy or Bennett as individual characters. Neither of them has much of a storyline outside of their relationship with one another, and their backstories are never explained. For example, one thing that really bothered me is that Bennett is an author but the book NEVER goes into detail about her writing process or even the book series that brings her and Teddy together. She had a book published at sixteen, which takes a lot of both determination and luck, but we never hear about how Bennett made this happen. She doesn't talk about how she had the idea for the book, what her writing process was like, how she got published, nothing. Maybe this only bothered me because I'm a writer myself, but I thought it was really strange to say that Bennett is a writer but then never really show or explain it. Another example of this is that Bennett is supposed to be working on her third novel, and it's hinted at several times that she's having trouble writing it, but it's never explained. There's no discussion of writer's block or lack of inspiration or anything. Again, the reader is supposed to buy this idea of her as a writer without ever seeing her actually write anything. We never even get a very detailed explanation of what her book series is about or what makes it so popular. The same thing happens with Teddy. We get a little bit of information about projects he's worked on before this movie, but other than that, there's no information as far as what inspired him to be an actor or what he loves about it. I ultimately felt like neither he nor Bennett was even close to fully fleshed-out, and therefore I never felt very invested in either of them or in their relationship. I feel like this is such a ranty review, and I feel bad because I don't think this is a terrible book. I can definitely see why people love it. There are moments I liked; even though there wasn't much discussion of how Teddy and Bennett's careers came to be, I did enjoy reading about their lives on a movie set. I'm not sure how realistic all of it was, but it was a fun and unique setting. I also like Evansley's writing. Even though I felt that her characters were lacking, she wrote them in a way that's accessible, and a lot of their moments are very cute and/or funny. I've always been in love with books starring actors or writers. This time, Alex takes both in one story and I've never been more happier. Definitely recommending it. I am not being biased because I am part of the Wattpad family where this book started because I didn't read it even if it was in my library until the very day the author removed it. So I bought the book and finished it in one day. Mary Bennett Caldwell is seriously like the girl next door type but she is nothing like girl leads I usually read. She is eighteen, a published writer and though she seems petite but she have a hell of a personality which stands out completely. Teddy Sharpe is swoonworthy. He's funny, smart, imperfect and not arrogant which left me wondering where do guys like these live in real world? Ted is not above grovelling even if he is a hotshot celebrity and we get to see a vulnerable man with a strong sense of mind. Loved him. I loved this book because it was light,simple, enjoyable book to read over a cup of coffee which correct amount of family drama, papsattacks, hot kisses and love in it. YA contemporary romance is one of my favorite genres and this book was perfect. I loved the build of their relationship and the surrounding the growing stardom for both characters. I couldn't put it down! Love Scene, Take Two by Alex Evansley is a cozy contemporary read good for summer or even rainy days. This is every teen author had been dreaming about. Imagine you have written a book and it’s going to have a film adaptation! Plus, the director wants your presence during the filming. That would be really cool. The story started with Teddy’s audition to the Parachutes (the book) movie adaptation. He had no idea about the book yet and he thought he made a complete idiot of himself. On his trip to Miami with his soon-to-be ex-girlfriend and former co-star, Chelsea, he met Bennett who was seated beside him. Little did he know that Bennett was the author of Parachutes. I swear it was really cheesy and I loved it! You ever met someone for the first time and you just “clicked?” Well, that’s the thing with Teddy and Bennett and I ship theeeem! The book was really lovely and adorable. The film industry is shown and how a movie is made. It’s been a while since I’ve read contemporary romance and this definitely did the trick! I finished it in one sitting and I don’t regret any second if it. It was really really awesome! Teddy and Bennett is a really lovely duo and some parts became really annoying because, “Hello? Can you not see that the two of you belong together!!!! !” Ah, I really can’t get enough of it. I wanted moreee. I need moreeee! There are few things in life of which Teddy Sharpe is absolutely certain, and he’s absolutely certain this audition is going to be a train wreck. Was this book written for me? I love that this book is YA written about the post-high school crowd. I love that Teddy lets teenage girls fawn all over him and take his picture and talk his ear off and he never once complains about it. I love that Teddy stands up for Bennett’s younger cousin over and over again. I love that Bennett calls herself out on judging Olivia, the main actress in the film adaptation of her book, before she even knows her. I love so many things about this book. I had such a good time reading this book that I actually took my time. I didn’t want it to end, so I drew it out over almost a week. I could’ve binged it in a night — it’s well-written and so adorable — but I wanted the experience to last, so I only read a couple chapters each night. What a great read! I absolutely loved this book! I am shocked to find out that this is Alex Evansley’s debut novel! This book gave me all the feels! Teddy Sharpe, kinda famous actor, gets the opportunity to audition for the lead role in Parachutes, a novel being adapted to the big screen. After basically being dumped by his girlfriend over text, and stranded in a North Carolina airport, he spends the weekend with Bennett and her family, only to find out that Bennett is the author of the novel he What a great read! I absolutely loved this book! I am shocked to find out that this is Alex Evansley’s debut novel! This book gave me all the feels! I don’t want to give too much away, but I could write about this book forever! The characters are rich and complex. I found myself wanting to be friends with them... and I found myself wanting to choke Liz at times. The storylines entertaining - I wanted to keep turning pages to see what happened next! The lingo was a bit hard for me to follow at times. (I didn’t think I was that far out of the loop, but this made me feel old! I think when using the language that seems to be made for social media and texting, it is helpful to provide an explanation, as not all readers are young adult! "Happiness is pizza on a Friday right before a three-day weekend."